Update Nov. 29, 2018: Still finding ocassional missing photos. Miscellany: Files misplaced when the old navigation bar was lost. 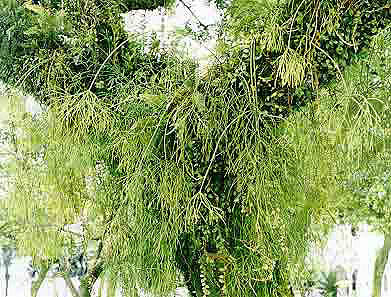 List of publications: Jorge Quiñónez compiled a list of recent publications about Rhipsalis. Rhipsalis experts: A long time ago, we laboriously added outstanding Rhipsalis academic research by Dr. Alice Calvente and Dr. Nadja Korotkova to this website, along with many references from older sources. Now a user can find just about every historical name cross referenced to its currently accepted species name with all the cited information. These researchers are today's experts on Rhipsalis. The rest of us are pretenders.